Imagine... A wing for everything! 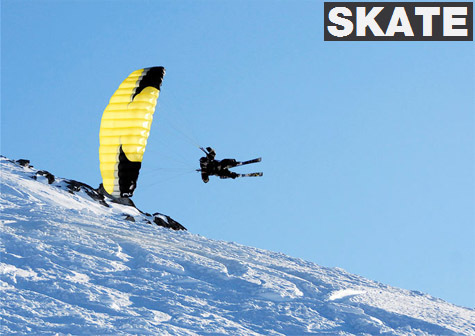 The freedom of the mountain, the exhilarating journey, the thermals, serene soaring and discovering the real pleasure of speed and manoeuvrability. 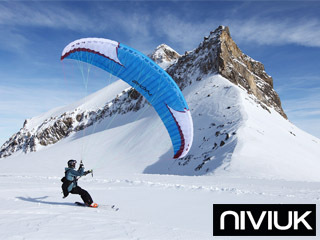 The ability to fly freely when the conditions and location make it impossible to launch with other equipment is now yours. In one wing the ZION brings to you a harmony of contrasts and a concentration of forces. Available in three sizes; 15, 17 and 19 m2, the ZION will satisfy the most versatile of pilots and will broaden the horizons for those pioneering new experiences in the world of extreme sports. The Skate has a new profile, more gliding but less lift which allows it to glide parallel with the ground in all terrains. The Skate is available in 4 sizes: from 8 up to 14 m. The most experienced and demanding riders will go for the smallest sizes. The less experienced riders will take advantage of the wide range of sizes, without being afraid not to progress.